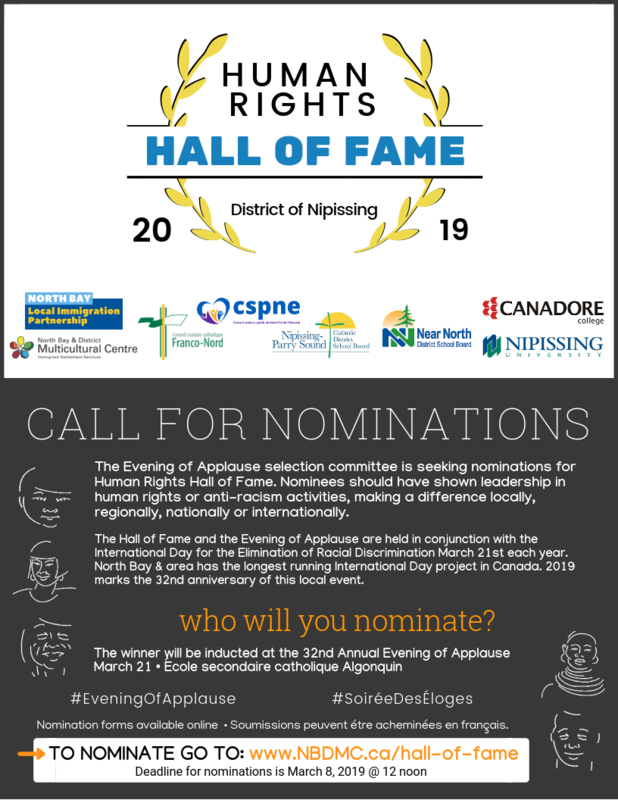 The Evening of Applause selection committee is seeking nominations for Human Rights Hall of Fame. Nominees should have shown leadership in human rights or anti-racism activities, making a difference locally, regionally, nationally or internationally. The Hall of Fame and the Evening of Applause are held in conjunction with the International Day for the Elimination of Racial Discrimination March 21st each year. North Bay & area has the longest running International Day project in Canada. 2019 marks the 32nd anniversary of this local event.